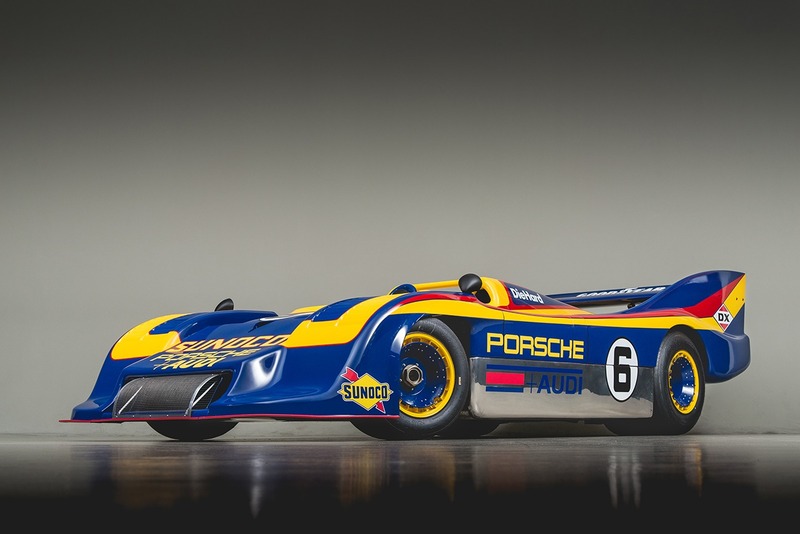 Go back a couple of decades, and Porsche only offered two things: sports cars and race cars. Any tinkering with their proven formula was cause for alarm. One year that sounded that alarm is 1965. After more than a decade and a half of evolution, the 356— the basis of pretty much every street car to wear the Porsche badge since the firm’s creation—was finally on its way out. Its replacement was something called the 911. While it still shared a handful of basics with the 356—like a rear-mounted, air-cooled engine, torsion bar springs and those floorhinged pedals—the 911 was new. The Volkswagen DNA that gave life to the 356 was replaced with new ideas. The 911’s silhouette was sleeker. The suspension replaced the Beetle’s basic layout with a more advanced affair. And the big news was found out back: Six cylinders replaced four. Overhead camshafts negated the need for pushrods. The shift lever could select a fifth gear. To appease the masses—or, at least, the diehard Porsche faithful— and also soften the blow that all that newfound technology added to the bottom line, Porsche performed a bit of a slow rollout. For the 1965 model year, buyers had freedom of choice: They could put down about $4500 for the final incarnation of the 356C or pony up $6500 for the brand-new 911. One question remains, though: Which was the better purchase that year? Was the 911 worth the nearly 50-percent premium, or was the tried-and-true 356 the better deal? We may not have a time machine, but we found the next best thing: Jerry Peters. Jerry has an amazing Porsche collection, and two of the cars in his fleet just happen to come from 1965. Yes, he has both a 356 and 911 from that crossover year, and both are exceptional examples. 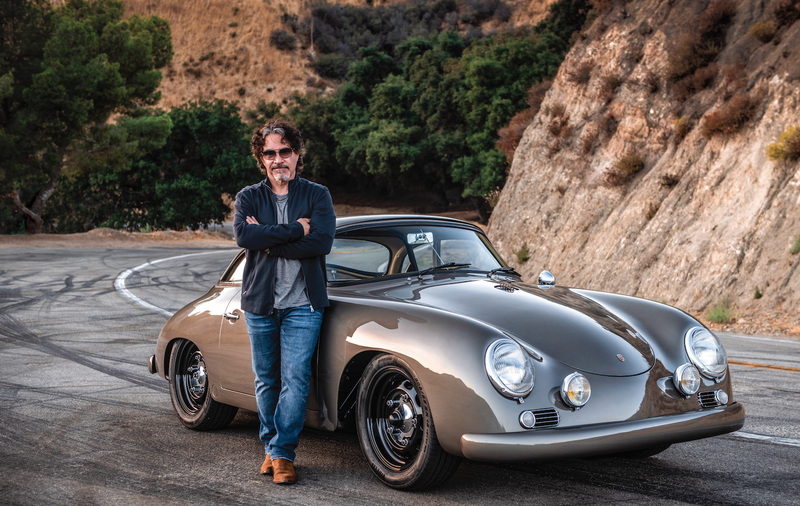 While the jump from the 356 to the 911 was radical at the time, the cars still share many traits. First off, both offer easy ingress and egress. Where getting into an E-type, Lotus Elan or Bugeye Sprite can involve some contortions, that’s not the case with these cars. Simply open the door and slide in—just like you would when entering a VW Beetle or any domestic sedan of that era. The sense of openness continues once you’re inside. The rather upright driving positions and terrific greenhouses found in both models provide unobstructed views in nearly every direction. The seats may not seem overly bolstered by today’s standards, but for the day, they were fairly sporty. Then there are the major controls. In both cases, the placement of the shifter, pedals and steering wheel can only be described with one adjective: perfect. Likewise, the gauges are big, round and legible. Twist the key—it’s to the left of the steering wheel on both cars—and you’re greeted by that familiar air-cooled purr. It doesn’t emit the shriek of an Italian V12 or the roar of a domestic V8, but the horizontally opposed Porsche has its place in the enthusiast world. If we had to sum up this engine in a word, maybe it’s purposeful. At low speeds, the cars share another trait: excellent, precise steering—something Porsche still excels at producing. At this point, it almost feels like you’re splitting hairs. Both cars are simply remarkable. However, if you go a little further and crack open the throttle, the differences start to pop up. Around town, the 356 is just more cheerful and laid-back. Maybe it’s the Beetle-esque DNA peeking through. Perhaps it’s the more cartoonish shape—one that still turns heads decades after its introduction. The 356’s gearbox is also easier to master. Just pick a gear and go for it. The gates feel as if they’re about a foot apart, meaning you’ll never worry about looking for fourth and finding second. Power? Let’s call it adequate. No, the 356 won’t pull a wheelie, but there’s plenty of torque for motoring about. Whatever the exact reason, the 356 is simply more relaxing to drive. It takes everything that makes a VW Beetle such a fun car and just turns up the “sport” setting by several clicks. One thing that may cause a bit of concern, though, assuming you know about the issue: The stock 356 brake lights are tiny, meaning every car behind you can be an insurance claim waiting to happen. Our advice: Just enjoy the car and forget about it. Maybe it’s the Le Mans heritage, maybe it’s the fact that Steve McQueen drove one, but the 911 has a much more serious air about it. This one wasn’t created from the ashes of postwar Europe; the 911 was designed from the ground-up to be the world’s best driver car. As soon as you place the key in the ignition, something whispers that this car should receive a bit more respect. The basic driving experience is rather similar to that of the 356, but changing gears will get you on your toes: The gates are quite close together— something else noted in that original Road & Track article. Are you in third or fifth? You may not be totally certain until you release the clutch. Once you get the hang of things, you’ll notice that those five speeds are perfectly spaced for the 911’s flat six. The new engine obviously makes more power, but you have to rev it to find it. The 356 is a relaxed cruiser; to get the most out of the 911, you have to spin the needle toward the red end of the tach. Fortunately, the 911 is sewing machine-smooth at all speeds. Anything not to like here? Honestly, no. 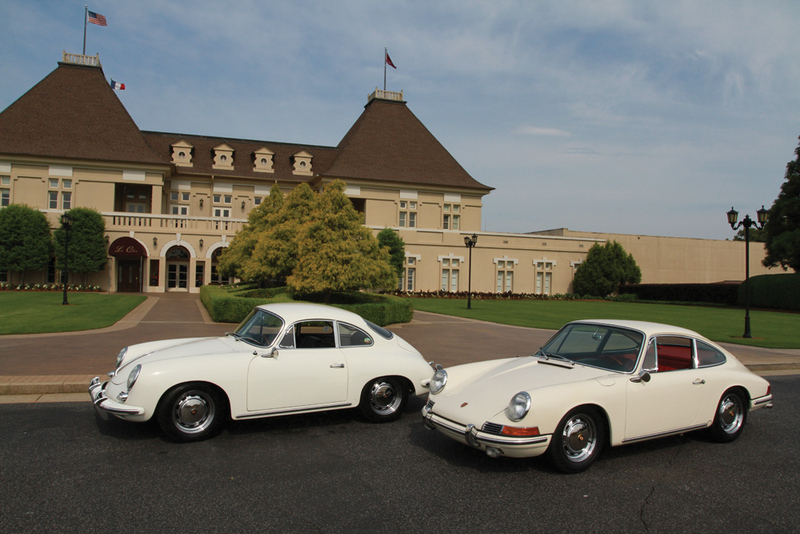 In 1965, visitors to a Porsche showroom only had two choices: the old 356 or a brand new 911. One simply outperformed the other. Yes, the new car was more expensive, but it was also faster. The decision-making process involved a couple of basic questions. How fast do you want to go? Well, what’s your budget? Today, though, the landscape is different. 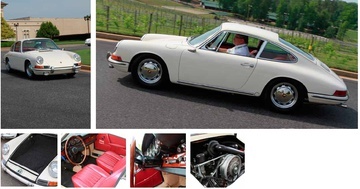 Faster, easier-to-drive variants of the 911 have been released, meaning the 1965 car’s sole unique allure is its historical significance. We’re not discounting the original 911, but today it’s viewed as something needed to complete a collection—a piece of the puzzle that will surely impress the faithful—but to the rank and file looks like most any other air-cooled Porsche out there. To be brutally honest, if you’re seeking the 911 experience, you can find it for much less. So which model would we choose? Between these two cars, we’d have to pick the 356C. It offers more-than-adequate performance, turns more heads in public, and costs much less. Where buyers in 1965 had to ask how much performance they could afford, today the operative question is a bit different: How much status do you need? Either way, you’re looking at a great machine. Good article, but you should have also added the Carrera version. two liter ohc vs two liter ohc.. I guess if you already like the 356 pushrod better it's moot, but it would have made for a more exciting comparison. The 356 was the budget-priced option back in 1965, and today it still brings in less money than that first-year 911. 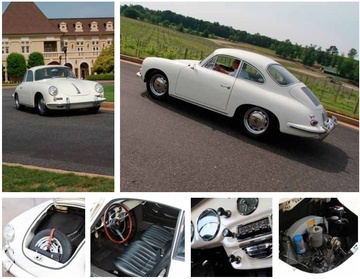 Figure $70,000 to $80,000 for a nice 356C coupe. First- and last-in-line cars in general tend to fetch more money, so if you’re looking for the 356 experience on a budget, seek a 1960-’62 Porsche 356B coupe. “A driver is about $30,000 and a concours-quality car is $55,000 to $60,000,” says Andy Reid, our auction editor. The 1965 Porsche 911 definitely enjoys its first-of-the-line status, as good examples easily bring in $110,000 to $120,000 these days. Andy Reid figures short-term prices will keep climbing until they hit $140,000. 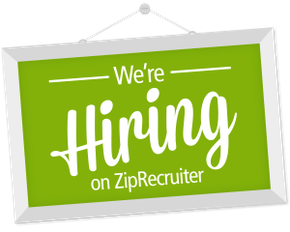 Looking for a similar experience for less money? About 99 percent of the air-cooled 911s that followed offer a similar feel for less money. We’ve seen good drivers for as little as $10,000.